Strategies Online is now open to sponsored articles/posts i.e. articles that promote brand, products or any particular entity. 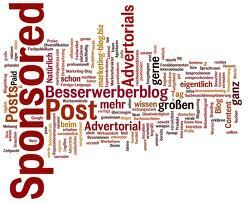 Sponsoring a post has huge benefits. Our vast readership of unique monthly readers allows your articles to be exposed to our numerous social media followers and passed along through newsletters and RSS feeds. Your post will forever remain on our website with long-term exposure as long as visitors will find our articles with the relevant keywords through Google searches. 1) Although your link will be live for a long-term, it will be a no-follow link and will no pass any page rank. 2) As a usual norm, your article must be 100% unique (must pass the Copyscape test). 3) The article must be related to Home Improvement ONLY. Please email us your article at info [at] strategiesonline [dot] net. Do mention “Sponsored Posts” in the subject. We reserve the right to add pictures, edit or change anything in your article, we feel is not relevant or useful to our readers. Contact us for full details and cost.